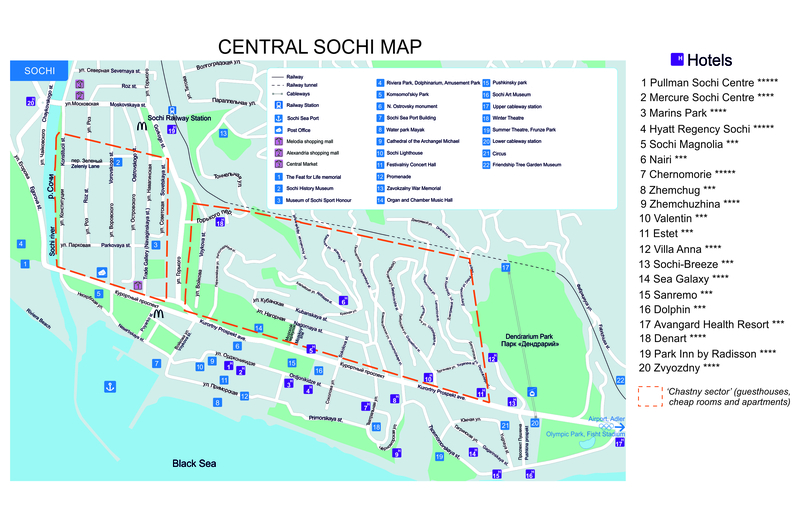 The map presents the Central part of Sochi. The famous attractions of this resort are highlighted: Dendrarium, Riviera, as well as museums, shopping malls, parks, cableway. 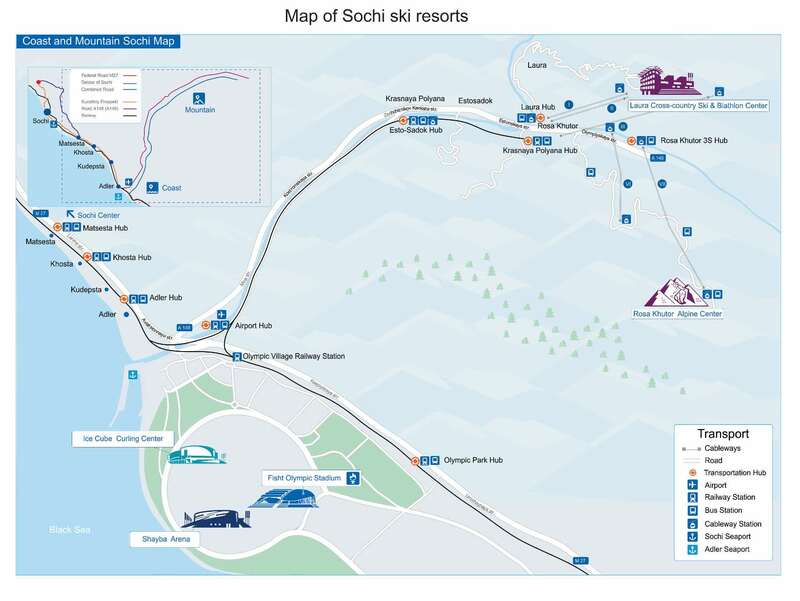 The popular hotels are also highlighted on the map. 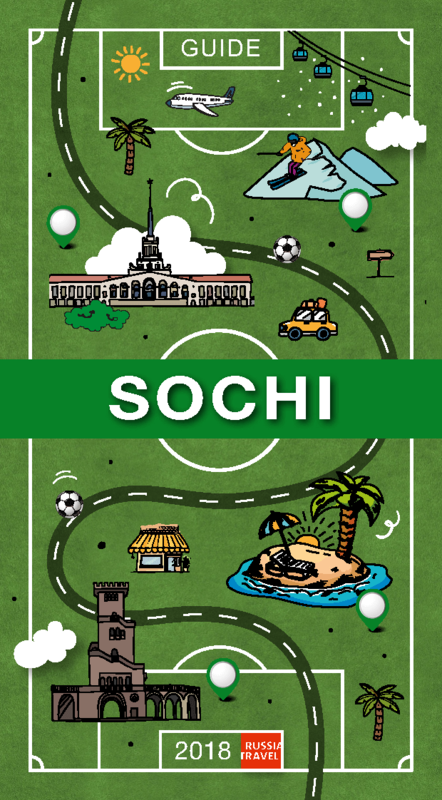 There is also the so called “chastny sector” – an area where you can rent cheap accommodation: rooms and apartments, rooms in mini-hotels and guesthouses. 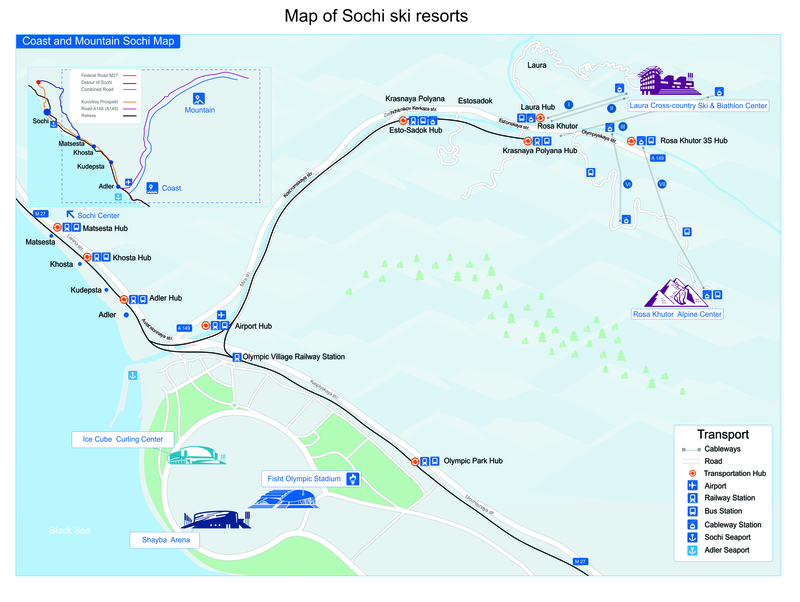 Map of Sochi ski resorts. 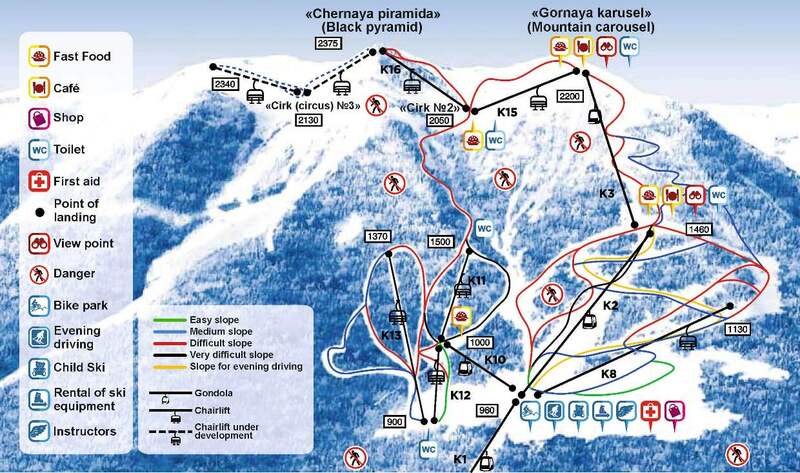 In addition: route (A-148) and the railroad to these resorts, cableway routes. 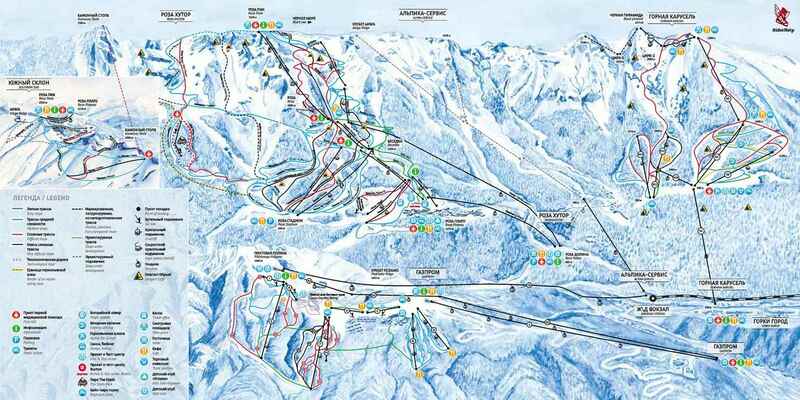 These objects are 50 km from Adler and 75 km from Central Sochi. 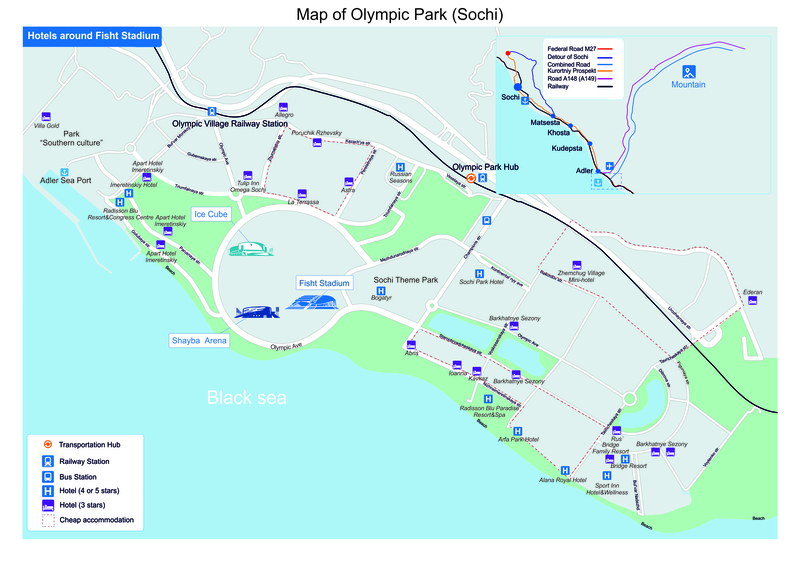 Sports ground, which hosted the 2014 Winter Olympics, are located in Adler, 30 km from Central Sochi. 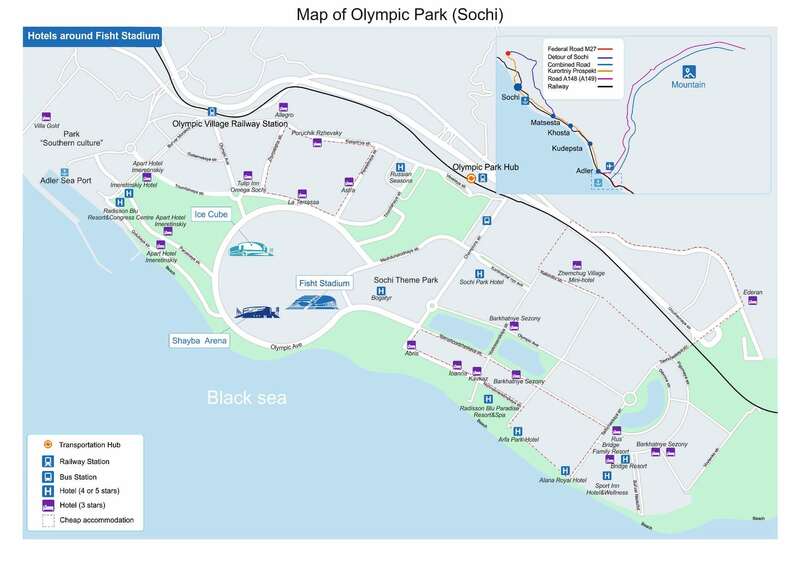 Maps present hotels with 3, 4 and 5 stars, located near the Fisht stadium (Olympic Park). 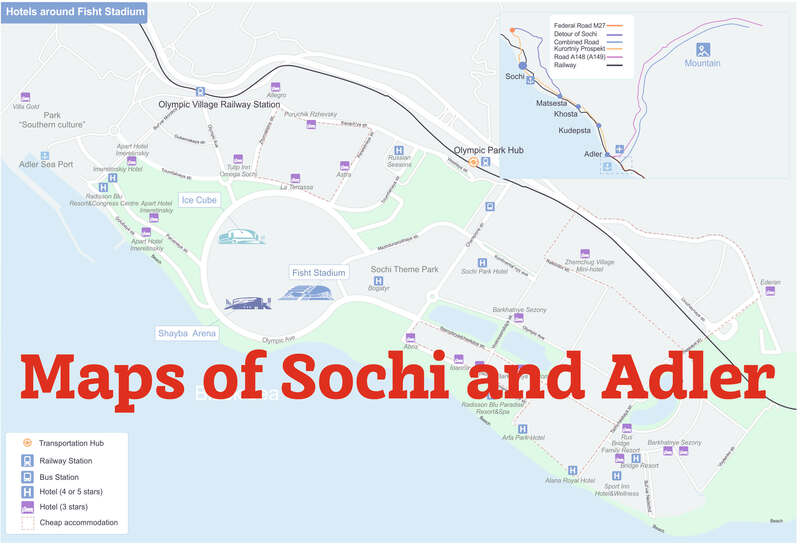 There is also the so called “chastny sector” – an area where you can rent cheap accommodation: rooms and apartments, rooms in mini-hotels and guesthouses. 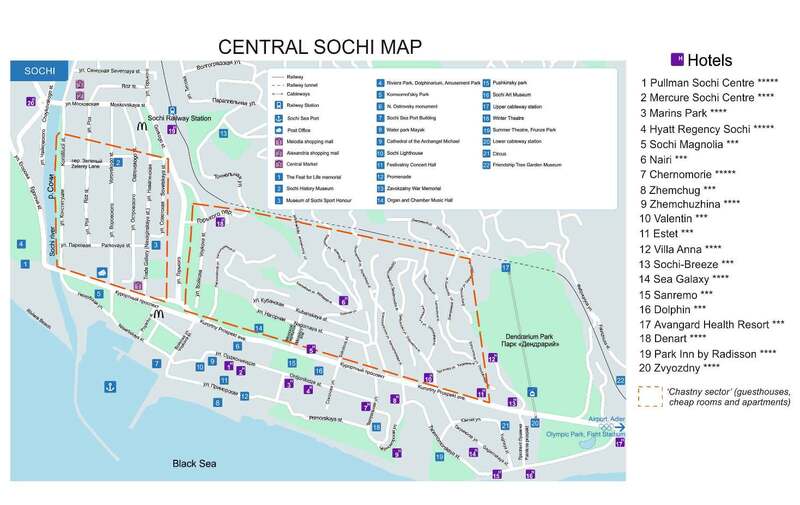 You can learn how to pronounce correctly the place names in the region of Greater Sochi (Sochi + towns and resorts nearby) from this map. Download the PDF file, click on the names of objects. Note: you can use these maps on your site or blog, but please, mention the source (name of website Turpotok.com and link). 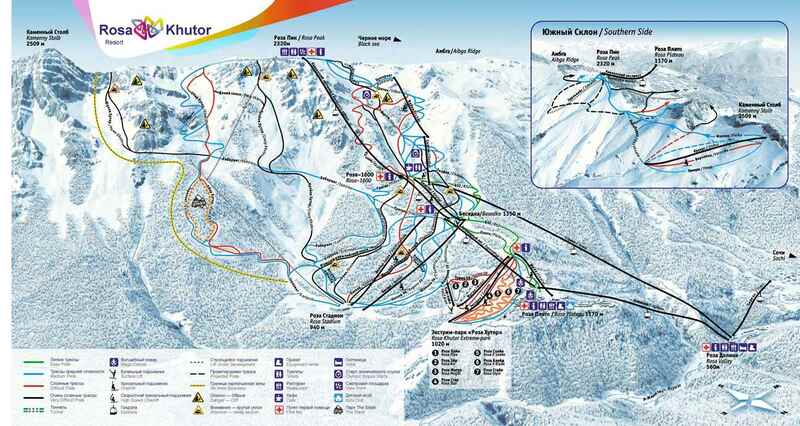 Rentalcars – rent car in Russia. Omio (ex. GoEuro) – booking tickets for buses between the cities of Russia and from Russia to Europe. Tutu – booking tickets for trains in Russia. Ostrovok – popular hotel booking system in Russia. Sutochno.ru – rent apartments and rooms from the owners (similar to Airbnb). Service only in russian.